Parfaite - Application parfaite, remplace Aroundme. Aucun bug, très belle finition. Seule reproche : la langue. Mérite d’être un succès. Bravo aux développeurs. This and many similar requests by our users set in motion our journey of providing a seamless experience by enabling them to use Localscope in their native language. In the last few months we have released our app in 14 languages - in Arabic, Chinese (Simplified), Chinese (Traditional), Dutch, French, German, Greek, Italian, Japanese, Korean, Portuguese, Russian, Spanish and Swedish, besides English. The use of the app in the countries speaking these languages has gone up significantly since then. With this new release, we are increasing Localscope’s reach further by supporting 4 new languages - Danish, Finnish, Polish and Thai. This marks the completion of our first round of translations totalling to 19 languages. 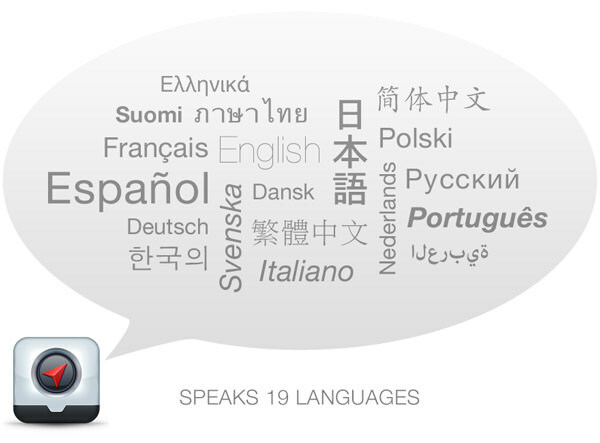 We are excited that a large number of iPhone users can now use Localscope in their mother tongue. Localscope will automatically switch to the phone’s default language setting. The search terms are optimized for the 19 languages as well, so users can search and find destinations around them in their language. Localscope v1.8 has also been optimized to work smoothly with the new iOS 5 - the world’s most advanced mobile operating system. Give it a spin and enjoy discovering places around you in a language you speak! Localscope is available for US $1.99 in the App Store.